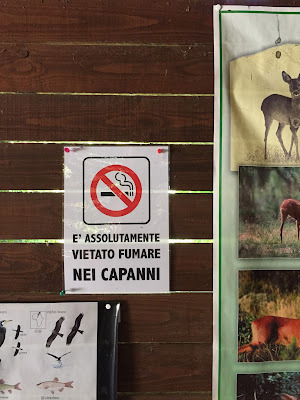 For this episode of street sign language lessons, we draw from a trip we took to Piedmont (Piemonte in Italian) several weeks ago. 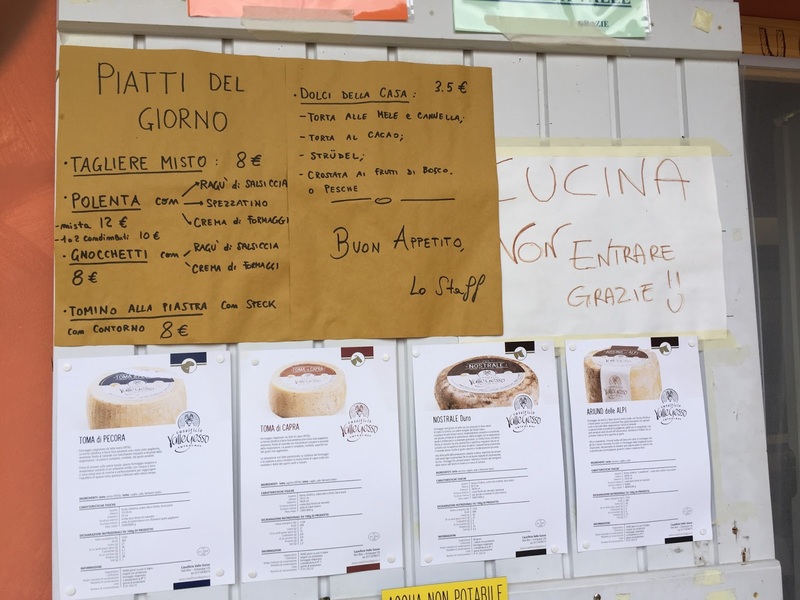 We feature four food-related word investigations – what else would you expect in Piemonte, two Cuneo market observations, a house of mutilation(!? ), a grey heron, and doors that close themselves. Doesn’t that just pique your interest? Left: Gran fritto misto alle piemontese at Ristorante Montecarlo. Right: Menu from the restaurant. 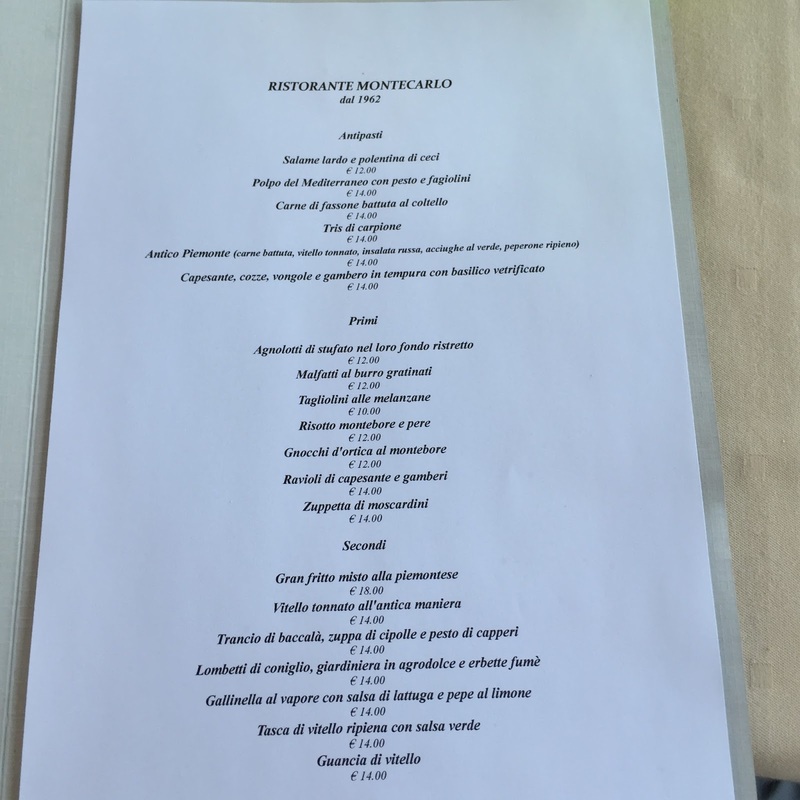 On our way from Bergamo to Cuneo we stopped for lunch outside of Tortona at Ristorante Montecarlo, a sort of welcome to Piemonte (Tortona is close to the border between Lombardia and Piemonte). Fritto misto alle piemontese is a typical dish of Piedmont that here features various lightly fried meats and seasonal vegetables, as well as pieces of sweets. Of meat, there was liver, brains, lamb chop, pork, and a few other goodies. Of sweets, there was lemon, chocolate and almond infused semolina pieces. What goes into the dish changes based on where you are in Piemonte. Tomino is a cow's milk cheese typical of Piedmont. Alla piastra means "grilled". 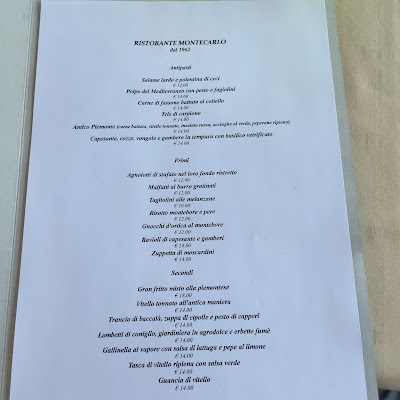 This menu was in the Rifugio Valascao (see Hiking from Terme di Valdieri to Rifugio Questa). Left: Open Baladin in Cuneo, Galuperie. 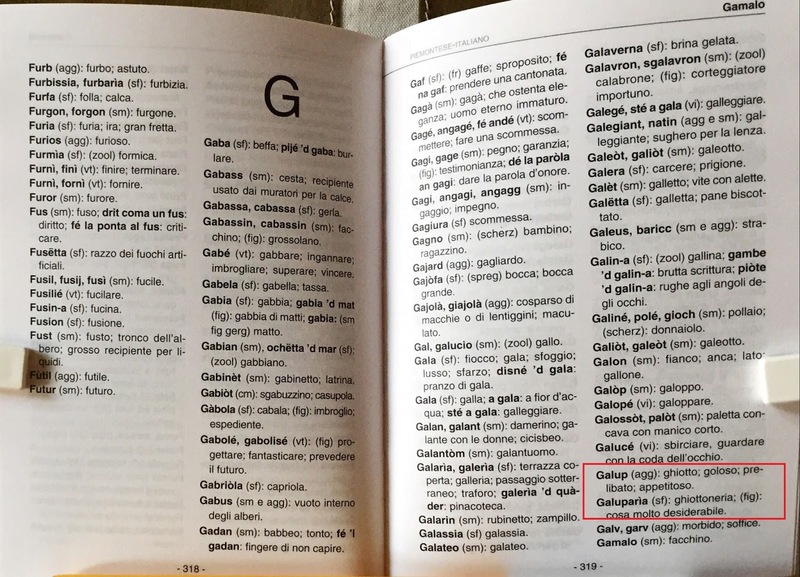 Right: Page from the book Vocabolario Piemontese Sacociabil Italiano-Piemontese, Piemontese-Italiano featuring galup. 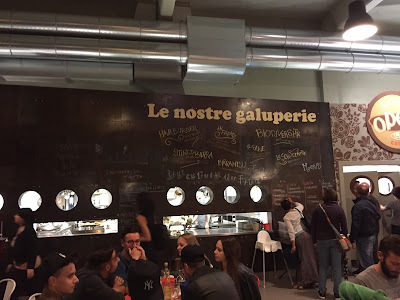 This photo was taken in the new Open Baladin Birreria location in Cuneo. The word galuperie derives from the Piemontese dialect. Galup in dialect means tempting or appetizing, while galuparìa is something desirable, a temptation. GROM – Il gelato di Grom e le materie prime che utilizziamo non contengono aromi, coloranti, conservanti ed emulsionanti. Non li abbiamo mai utilizzati. Non li utlizzeremo mai. 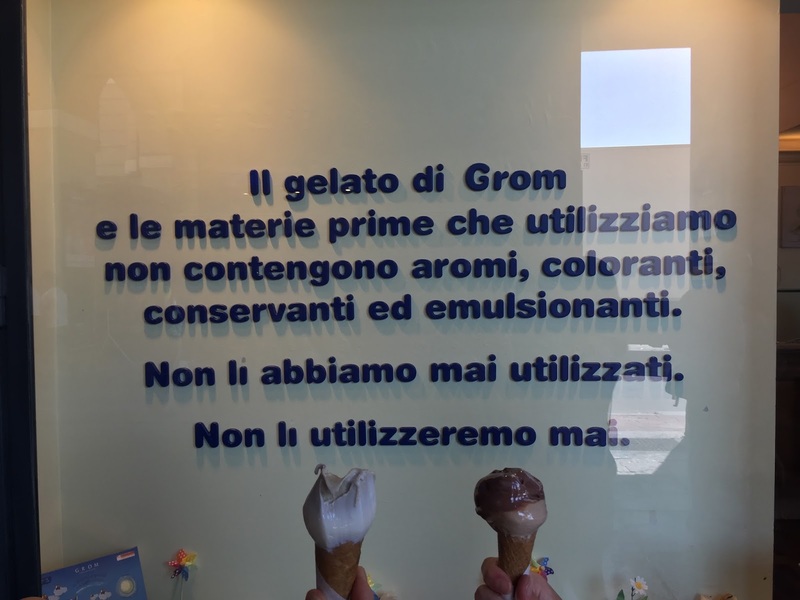 – Grom’s gelato and the raw ingredients that we use do not contain flavorings, dyes, preservatives and emulsifiers. We have never used them. We will never use them. What’s interesting here is the different uses of the verb utilizzare. utilizziamo – present, indicative, utilizzeremo – future simple, indicative, and utilizzati – past participle. GROM was founded in 2003 and is a place we frequently seek out for gelato. It was purchased by the multinational Unilever in 2015, which we are afraid may not bode well for the quality of the product. So far so good. I grew up with the word slip meaning something a woman wears. 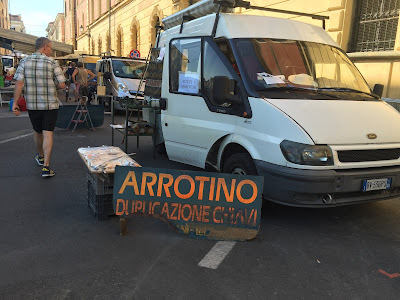 Here at the Cuneo market - one of our favorite markets - it’s hard to shut off that image shopping for underwear. When I see slip uomo, I picture an athletic, shaved man’s body wearing a slip. I realize for some that might be an interesting and desirable image, but for me it’s a disconnect. At the edge of the Cuneo market, the knife grinder throws open his van’s doors and becomes a mobile knife grinding workshop and key copier (duplicazione chiavi). 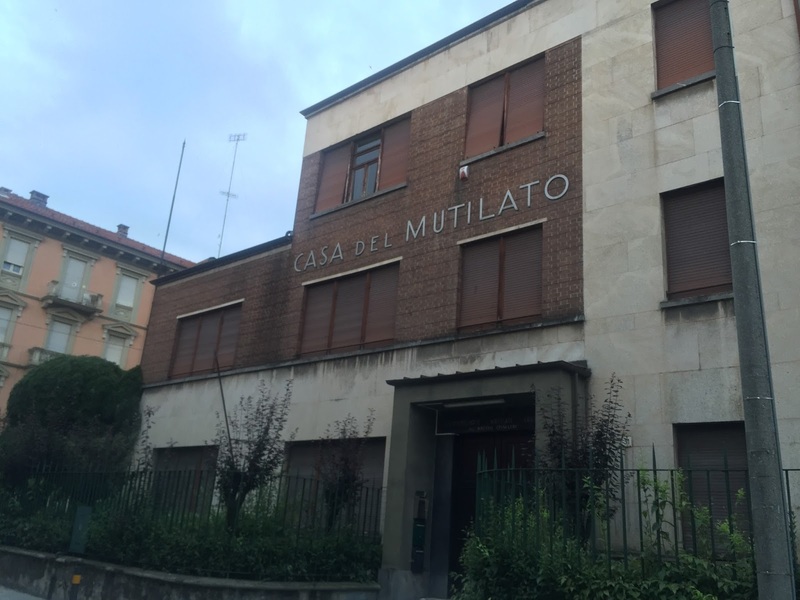 Mutilato has as one sense the meaning amputee, but it also means, collectively, those wounded as a result of war. We walked by this building in Cuneo on our way to the train station one evening, and besides the imagery the title conjures, the building seemed a bit sad. According to the thesis Cuneo 1919-1940, it belongs to the Rationalism architectural current (Razionalismo Italiano). 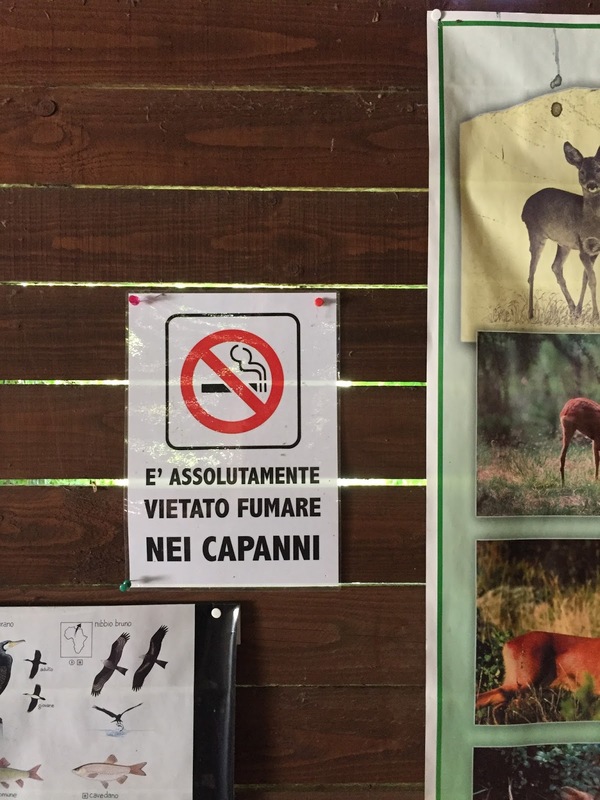 Left: Hunting blind at Riserva naturale Crava Morozzo (LIPU) - no smoking sign. Center: Photo of a grey heron at the riserva. 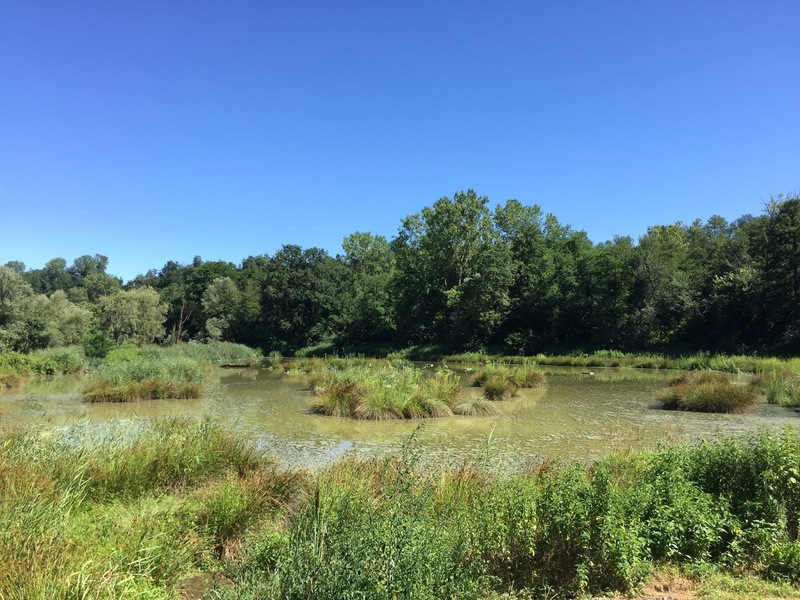 Right: View over wetlands from a hunting blind. We were spending the afternoon at the Riserva naturale Crava Morozzo, just a few minutes outside of Cuneo. We were with family and some bird experts. We spent some of our time in hunting blinds (little wooden huts) spying on wildlife. We saw several birds with the naked eye, but you really need proper bird watching gear. 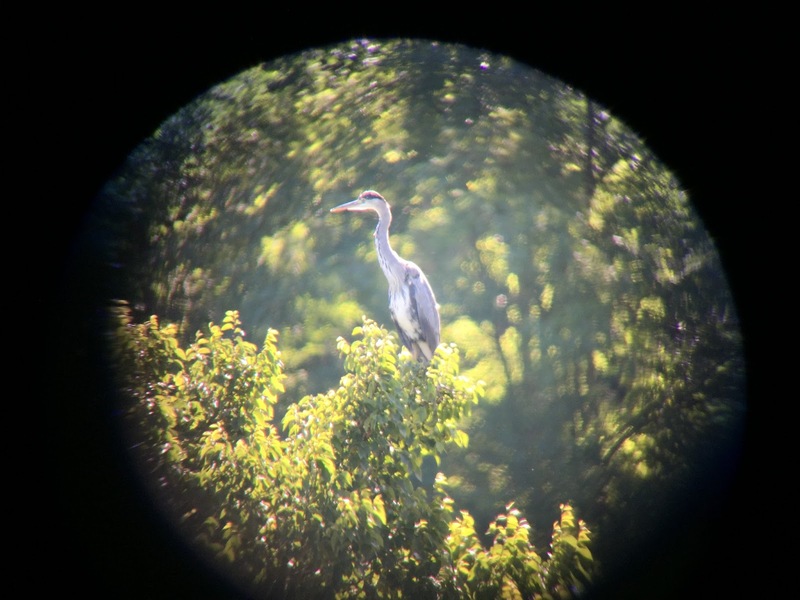 The photo of the Grey Heron, Adrea cinerea, was taken through a monocular belonging to one of the experts. 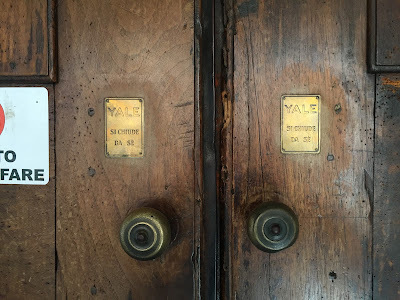 Left: Doors of the Duomo di San Donato in Mondoví Alta. Right: Inside San Donato in Mondoví Alta. In other words, you don’t need to pull these doors shut. 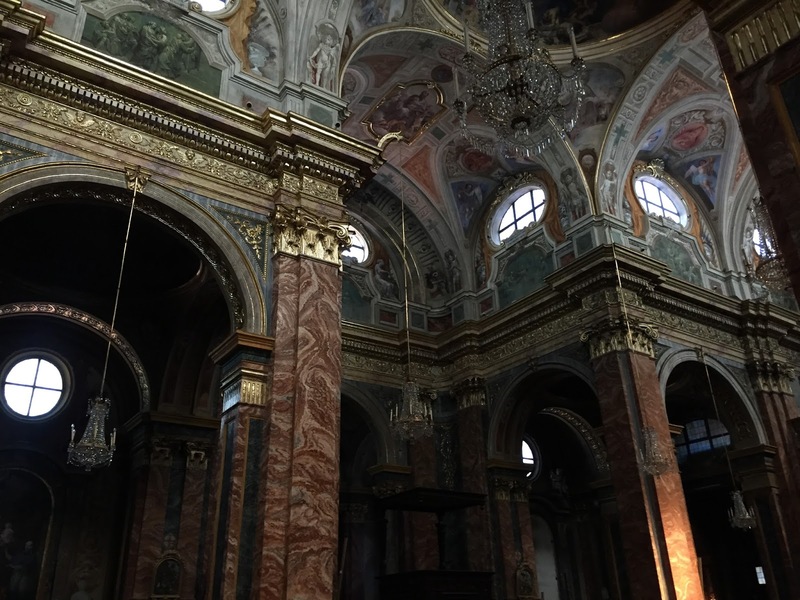 These doors are part of the Duomo di San Donato in Mondoví Alta.